Night Contact is this Friday! In the run up to the big day we are very excited to announce the addition of a site specific work by Emma Critchley. 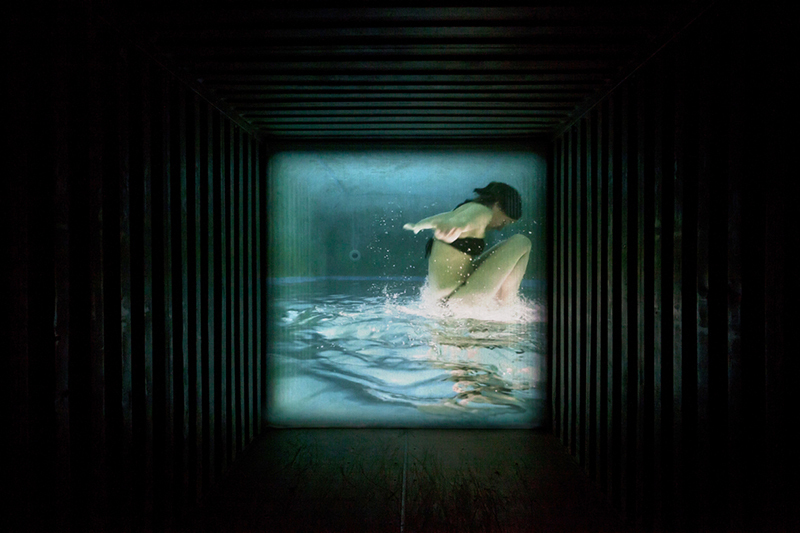 Visitors will be invited to immerse themselves in her underwater world through the portal of the large shipping container which will be installed in Gillett Square. 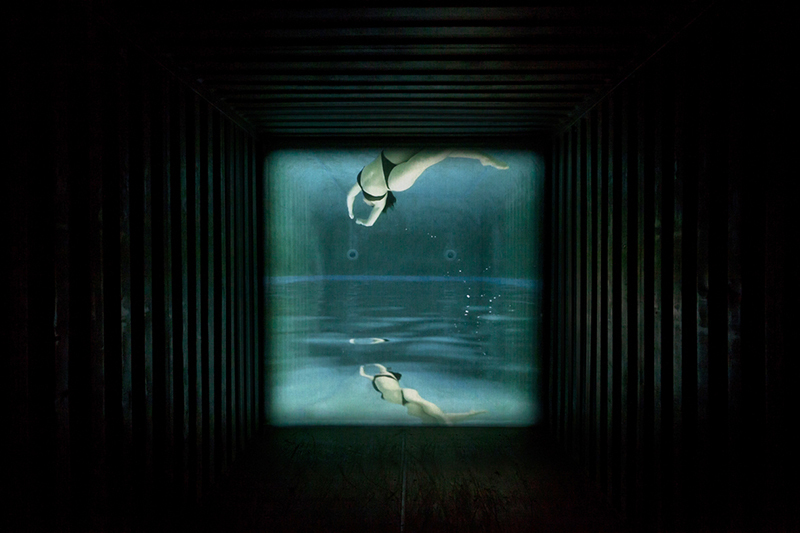 Aria is a site-specific audio-visual piece, featuring a freediver and a female soprano, projected inside a shipping container. Immersed in the soundscape of an a cappella voice, the viewer experiences a figure moving within the depths of the underwater landscape, pulsing with the lyrical rhythm of the singer’s breath. In this space the boundaries of interior and exterior become blurred and perceptions become distorted. Critchley who often works with video and photography in the underwater environment, is interested in the shift when the body becomes immersed underwater, a space that is detached from the everyday, which necessitates both a physical and mental realignment. Aria was originally commissioned by HOUSE 2013.